Lots of Spanish and tons of teaching this week. Even with my very broken Spanish, I seem to be surviving. And at times, thriving! I know that the gift of tongues is already following me around. As of now, Elder Harston and I are teaching up to 5 different investigators (actually teachers and each other) but we are praying and fasting and reading and studying and planning and “loving the people.” It feels weird to say, because we’re still only in the training phase, which makes me more and more excited every day to soon be in the actual mission field, teaching actual people who God is preparing to receive the message that I have. I’ve fasted for about 24 hours about 4 times in the last 5 weeks, and every time I do I feel the spirit so so so strong. I have a really strong testimony about fasting and sacrificing one luxury for a small while to be humble enough to receive spiritual feelings and blessings. I got my first mission mail (except for email) this past week! A letter that mom sent, timestamped on it December 14, got here about January 9. Yeah, mexican mail is a bit worse than I thought it would be. I don’t know if it’s bad enough that you would have to send a pair of shoes one shoe at a time (not a hint, I don’t need shoes) but maybe something like that would be safe. I have been going through legitimate piano withdrawals. The other night I seriously couldn’t focus during personal study because I needed to sit down and play something! Anything! If I don’t hear a 7-9 chord, I start to go a little bit crazy. I’ve bookmarked my Spanish hymn books with songs that I want to practice. Is it just me or is the Spanish Hymn book better than English? If you can’t tell, I’m starting to itch to get outta here. I love my companion do death and back, my district is the best group of people I get to see every day, and so many people here at the CCM are the nicest and purest Latinos ever, but I had the desire to serve and love and walk and be immersed into this culture before I even got here. And I really really really love Mexico already, and these people are much nicer than the average American. It’s about 11 more days, but that deadline will both zoom right by and crawl towards me. This week for Pro-mix, Elder Isais and I taught the same investigator we taught two weeks ago. We were talking about prayer, the Book of Mormon, and the Holy Ghost and she started crying. And even though she was tearing up, she was still talking fast. And even though she was talking fast! I understood everything she was saying!! And this is only 5 weeks of spanish and the spirit, ladies and gentlemen!! Thanks for reading my apparently really long emails. They might not be this long in the field. 1. 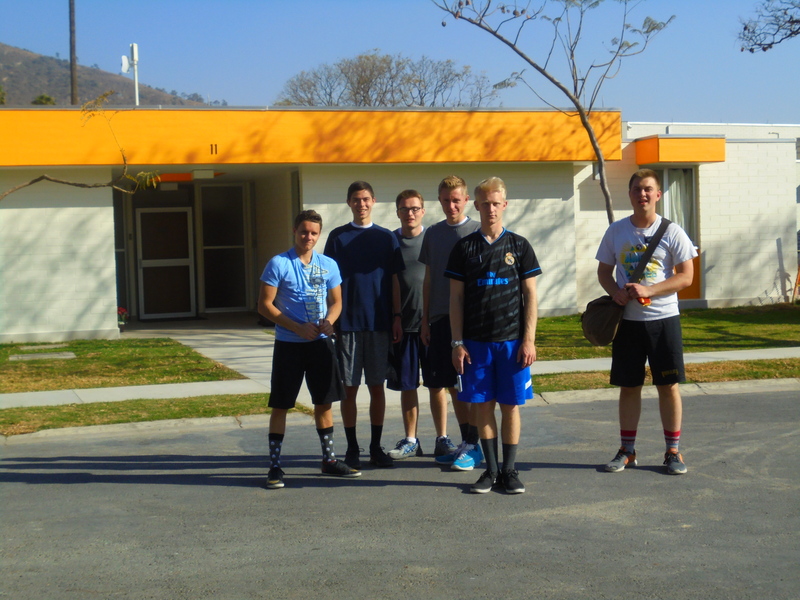 Our district boys coming back last week from some volleyball. 2. 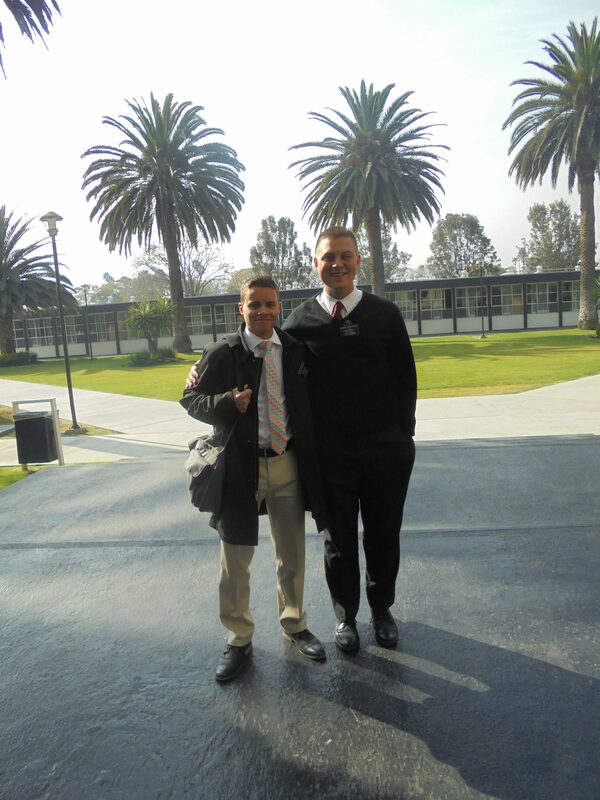 Me and Elder Harston 10 minutes ago! We got some sweet haircuts this morning here at the CCM.